The Problem:Finding the ultimate, ultra compact drying machine. Stylists, start your engines. 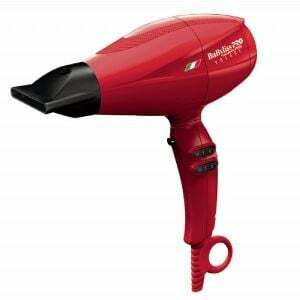 BaBylissPROintroduces the world's first professional luxury hairdryer powered by a genuine Ferrari designed engine. Sealed ball bearings and improved brushes increase engine life up to 2000 hours. Maximum airflow, minimum weight, low vibration and turbo-speed performance make the BaBylissPRO Volare the grand prix of styling! Made in Italy.